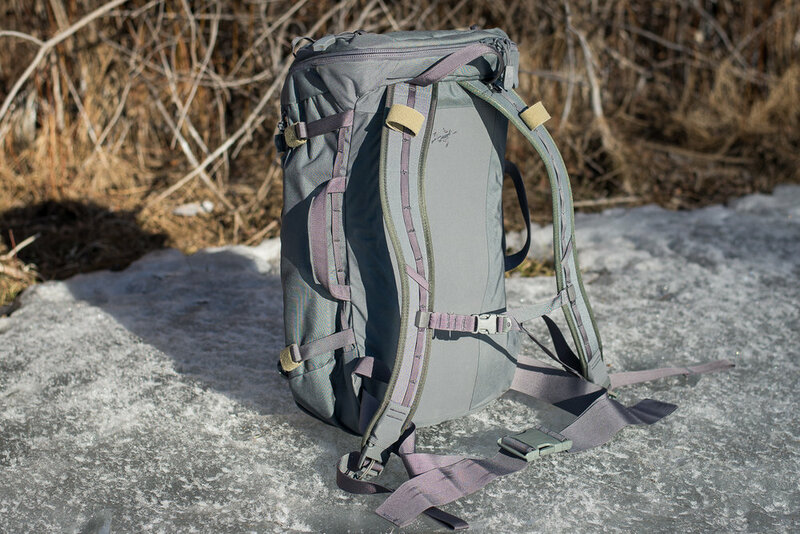 The Arc'teryx Khard 30 is a classic in the pack realm. It's sleek lines and unique ability to lay completely flat when opened make it appealing to many users. 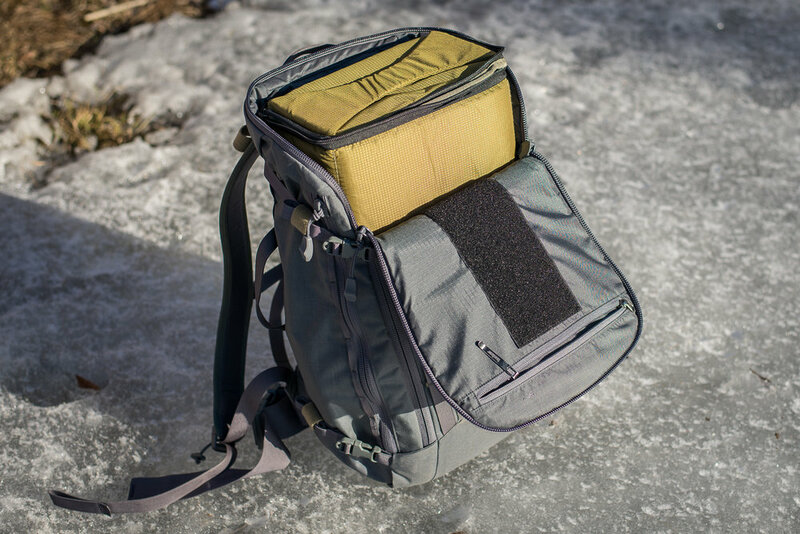 It is around 30 liters in capacity and was one of the early packs to include a loop material on the interior to affix pouches and accessories; the pack can be configured in many different ways. The back panel is contoured and rigid, the shoulder straps are thin (in a good way) but comfortable and the waist belt is 2" wide and fixed. 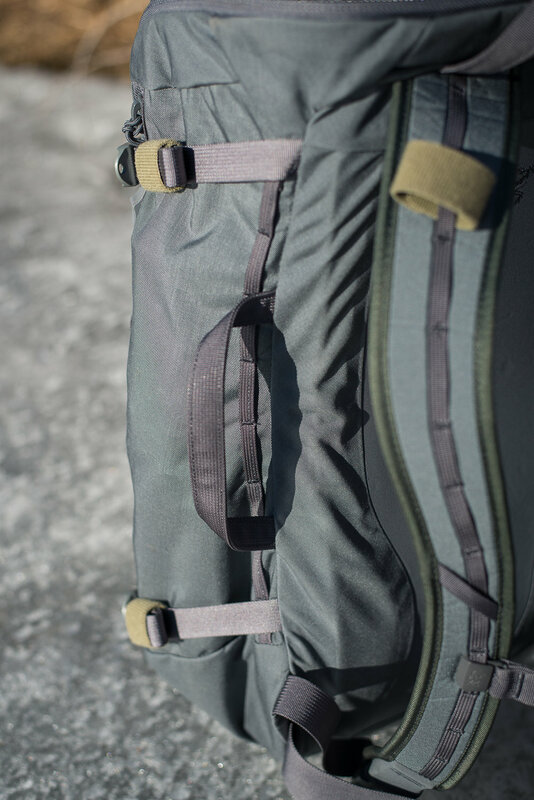 It includes a pocket on the top and underside of the top pocket, as well as two large zippered side pockets. 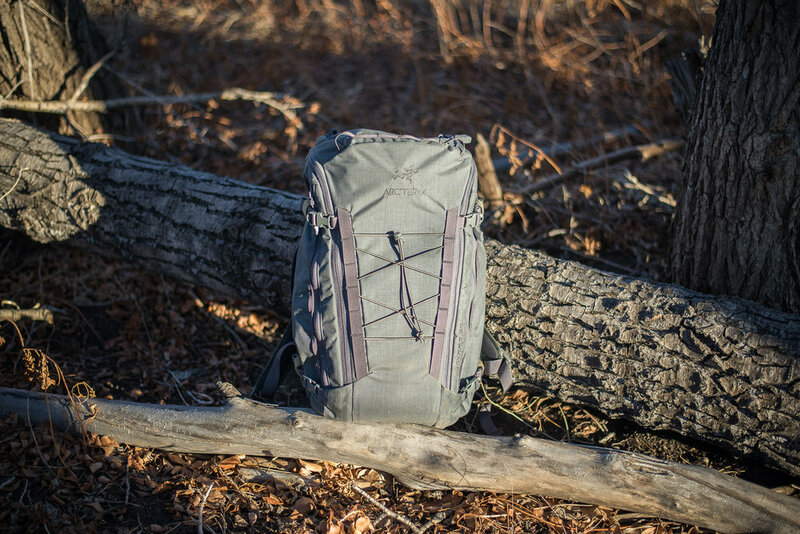 It is a great pack for travel or range use or use as a carry on bag for over-heard storage. 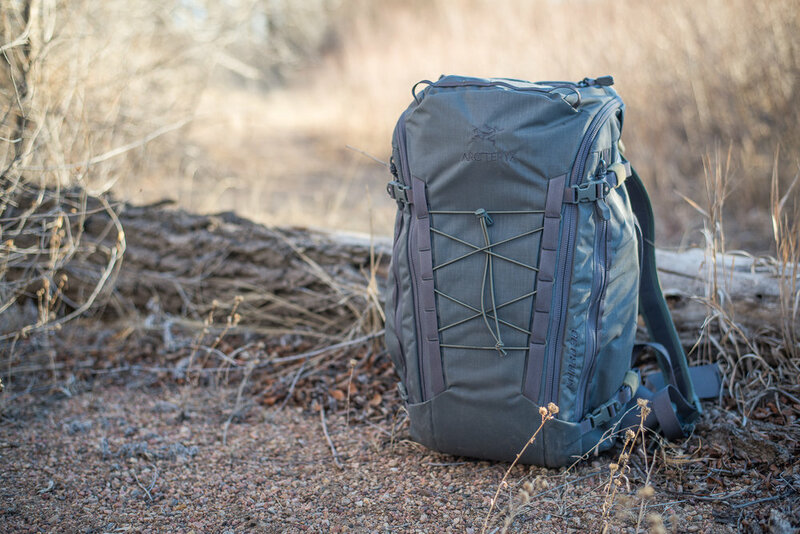 These are now discontinued, but Arc'teryx has updated it some in their Assault 30 and they are both worth your consideration for a mid-sized day pack.